Royal Enfield posted strong sales of 74,477 motorcycles in the month of June 2018, recording a growth of 18% over the same period last year. Royal Enfield unveiled three custom built motorcycles for the very first time on its yet to be launched twin-cylinder platform, at the seventh Wheels and Waves Festival in Biarritz, France. Wheels and Waves is one of the most anticipated events in the custom motorcycling scene. The three motorcycles namely, ‘Lock Stock’, ‘Rohini’, and ‘Interceptor’, have been developed on the recently introduced motorcycles – Interceptor INT 650 and the Continental GT 650, powered by Royal Enfield’s first modern day 650 twin engines. 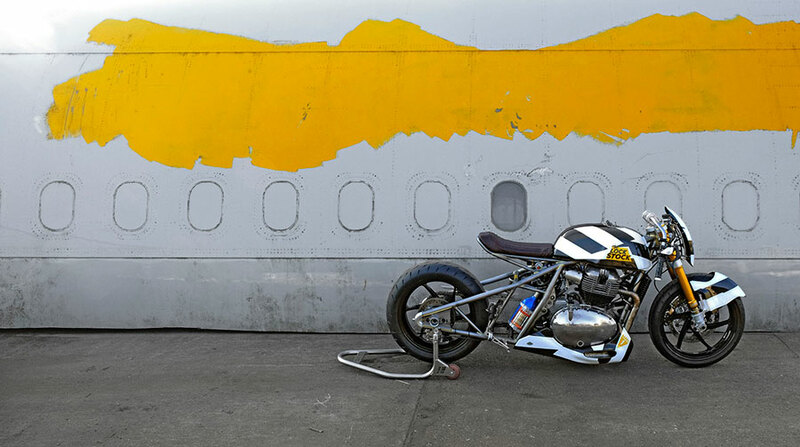 Apart from ‘Lock Stock’, the 865 cc drag bike – designed and developed by the brand itself, the brand collaborated for the first time with Young Guns Speed Shop, a custom house based in Switzerland and Old Empire Motorcycles based in UK, to work on two unique concepts with the Continental GT 650 and Interceptor 650 as base. One of the biggest motorcycle ride of its kind in the world, Royal Enfield Himalayan Odyssey will see over 60 participants traversing this year to the mighty Himalayan terrain. The cavalcade of motorcyclists from different parts of the country and the world will be flagged off from India Gate in New Delhi on July 07. The participants will cover a distance of 2, 200 kilometres in 18 days on their Royal Enfield motorcycles. A journey like Himalayan Odyssey is a life changing experience and over the 18 days, the riders will face each challenge together that will strengthen the sense of camaraderie amongst them and in the end leave every rider with memories which will remain deeply etched in the mind forever.